Mission: Helping homeless, runaway, trafficked and struggling youth throughout North Dakota. We are a private, 501(c)3 nonprofit agency with a Board of Directors. The agency was established in 1979 as Mountain Plains Youth Services Coalition and we have been providing direct services since 1986 in Bismarck and 1991 in Fargo. Our offices are located in Bismarck and Fargo and we serve the surrounding counties in both North Dakota and Minnesota. Our focus and expertise is in working with teens, parents and young adults under 22 years of age. Most of the services are free and when there is a charge it is based on a family’s ability to pay. Our support comes from a variety of sources including units of government (state, city, county, and Federal), foundations, fees, schools, courts, and local fundraising. United Way provides funding for some of Youthworks’ programs in both Bismarck-Mandan and Fargo-Moorhead. 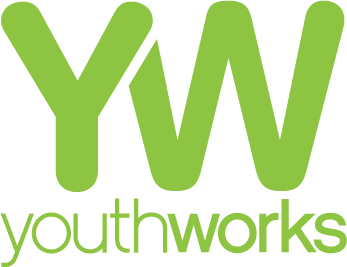 Contributions to Youthworks are tax deductible. In our services directory are programs for runaway, homeless and street youth; juvenile offenders; youth failing in school; youth suspended or expelled from school; young parents and pregnant moms (under 22); youth arrested and unable to immediately return home; youth needing emergency care: youth needing peer support or cross-age mentoring; and youth with anger issues. We provide family counseling during the day and in the evening at the convenience of the parents.